Google Awords has always enjoyed maximum visibility at the top left side of search engine result pages. 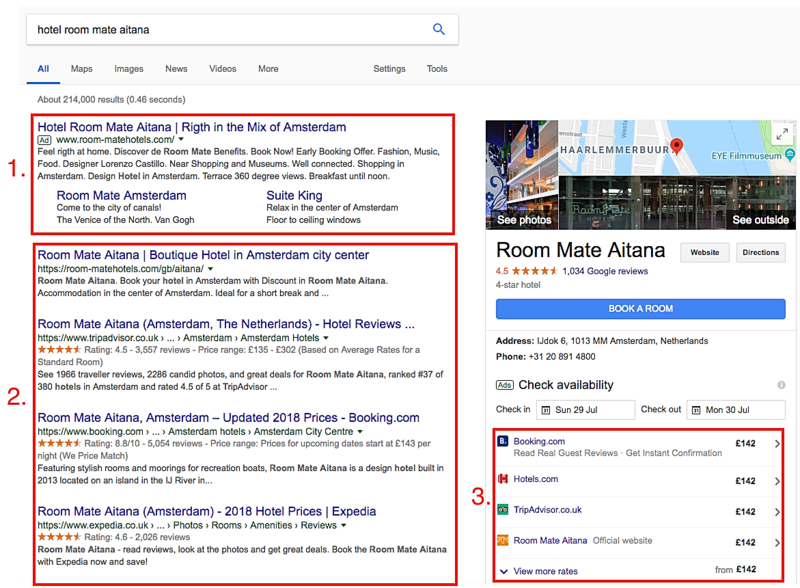 This, however, may change from now on, at least for hotel searches, because Google is trying out putting Google Hotel Ads (GHA) above AdWords, a substantial change for users, advertisers and Google itself. It seems that, at least for now, the change mainly affects desktop users because Google Hotel Ads already enjoyed maximum visibility on searches made on mobile devices despite still being underneath AdWords. 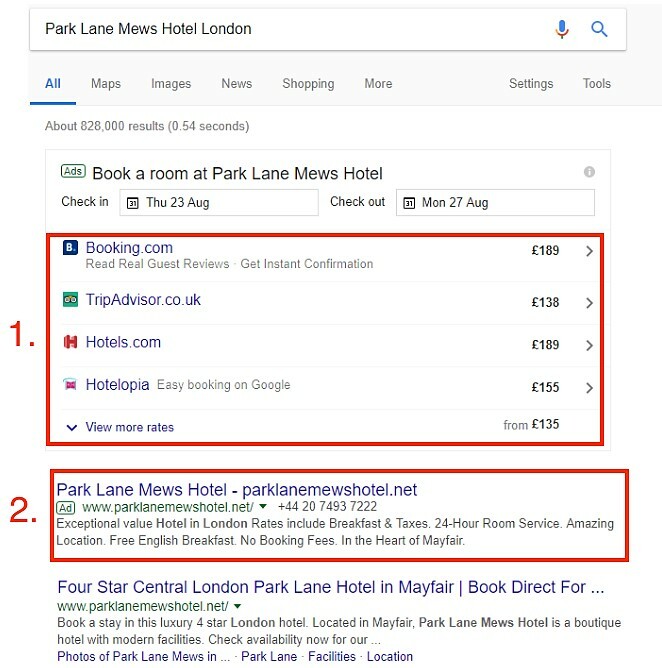 The more visibility Google Hotel Ads has, the less AdWords will have. We expect that there will be a shift in users and, therefore, in clicks and bookings in favour of GHA. Whether that is 10%, 20% or 50%, only time will tell. It is still too early to say. In terms of views and sales on your website, the change should not affect you too much since what you will lose on AdWords you will gain in Hotel Ads. 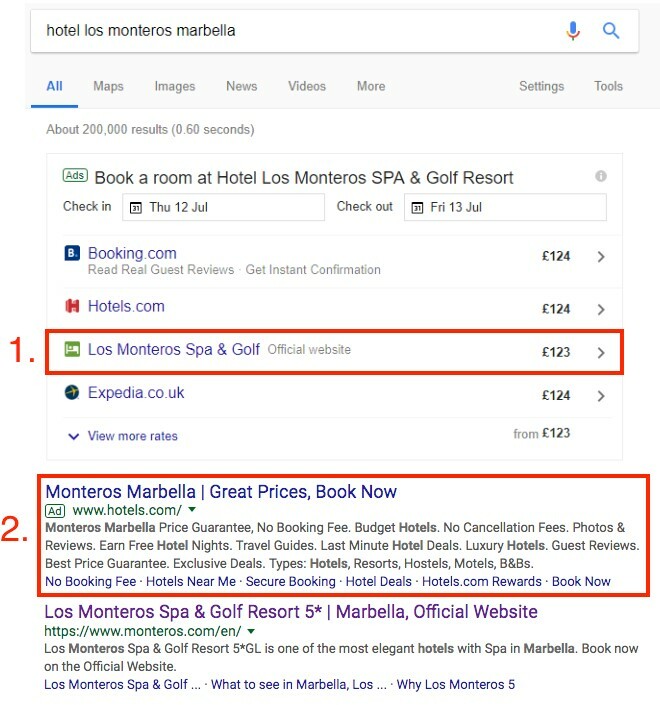 If you do, it should be positive and once again we point out that Hotel Ads allows the commission mode, therefore hotels do not usually put budget limits and have active campaigns all the time, whilst this is not always the case on AdWords, which is instead limited to specific markets. However, you have to watch out on how this affects the total return on investment. If the AdWords investment was more profitable than Hotel Ads, it is probable that your profits will go down. If Hotel Ads gave you better numbers, your profits will increase. Google Hotel Ads is enjoying an undeniable upward trend, parallel to its continuous adjustments and improvements, such as the recent addition of the occupancy filter. With the new rearrangement, Google has once again made a move, on this occasion surprising everyone with a significant change in the results page, a page which is the main source of income for them which had not undergone changes of this kind in many years. 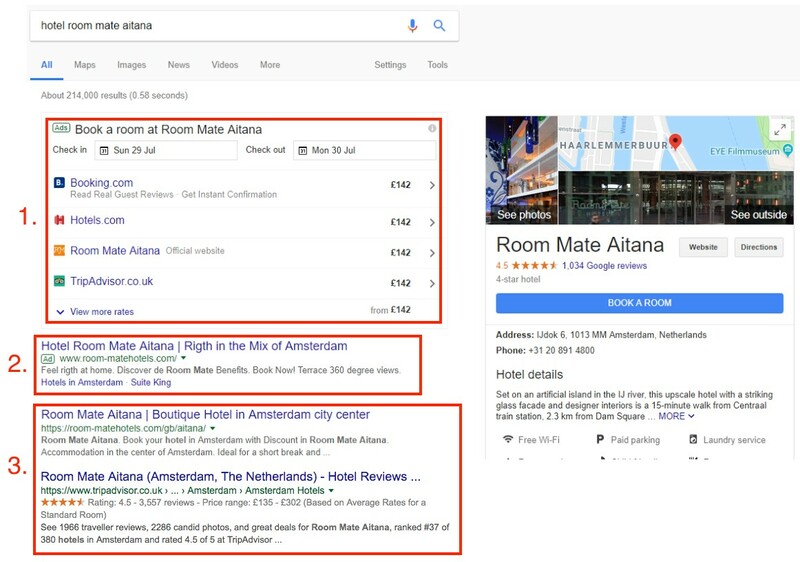 For Google, integrating AdWords and Hotel Ads seems like a natural step to take, since they are the same advertisers with the same product and the same target clients. It seems that this move brings this possibility, which Google has been talking about for so long, a little closer. 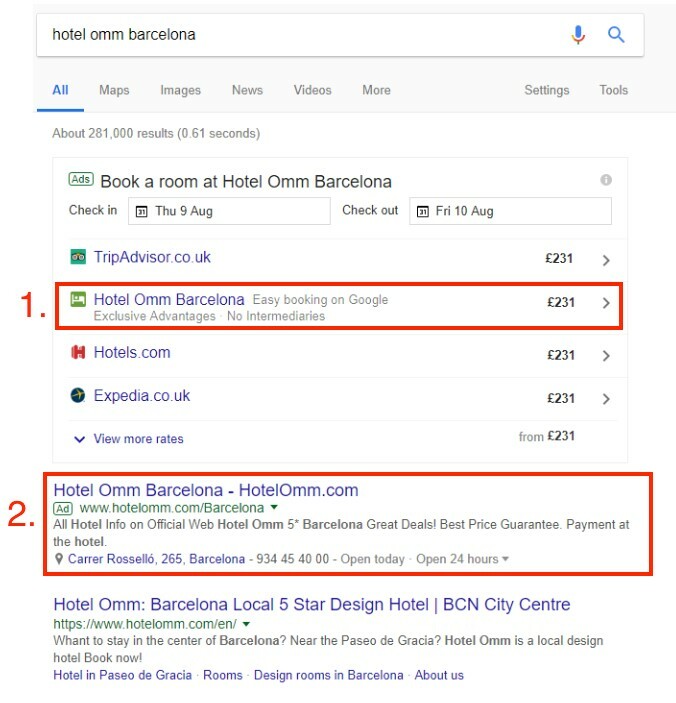 Yesterday Google announced that Hotel Ads joins Ads. Large OTAs are usually very quick to adapt to changes for their own benefit. In terms of direct-sales marketing on metasearch engines, that is your decision. Price competitiveness will decide whether it will be ROI driven for hotels or a loss making preposition, but in any scenario gives more teeths to hotel to increase their direct share.